When Oliver Naughton joins the Tenth Avenue Writers Underground, headed by literary wunderkind Wilson Knight, Oliver figures he'll finally get some of his wild imaginings out of his head and onto paper. But when Wilson takes an intense interest in Oliver's writing and his genre stories of dragons, aliens, and spies, things get weird. Oliver's stories don't just need to be finished: they insist on it. 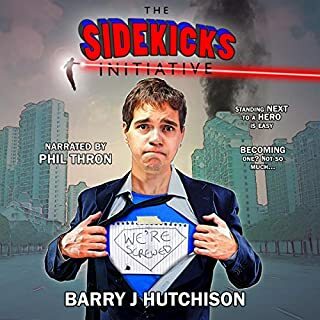 With the help of Minerva, Wilson's girlfriend, Oliver has to find the connection between reality, fiction, the mythical Cydonian Kingdom, and the non-mythical nightclub called M Pallas. That is, if he can survive the alien invasion, the ghosts, and the fact that he thinks he might be in love with Minerva. Unfiction is a wild ride through the collision of science fiction, fantasy, thriller, horror, and romance. It's what happens when one writer's fiction interferes with everyone's reality. 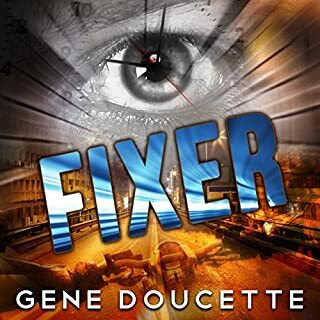 Unfiction is the latest novel from Gene Doucette, the best-selling author of The Spaceship Next Door. 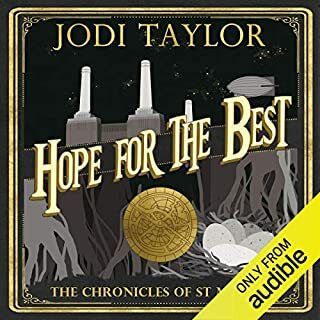 It's not uncommon for me to grit and white-knuckle my way through an audio book's questionable mode of narration for the sake of a good story. Unfiction was pleasantly absent of such a compromise. Author Gene Doucette writes with sharp wit and the keen observation of a true student of the human experience. With nostalgic nods to all our favorite old stories Doucette playfully spins a yarn that is contemporary and new yet warmly familiar. Narrator Brad Wills captures Doucette's voice with impeccable timing and delivery. Clear and articulate, Wills delivers the story at a pace that matches the tone and feeling of the story: quick and abrupt when the action is hot, steady and deliberate when delivering the more introspective moments of the piece. 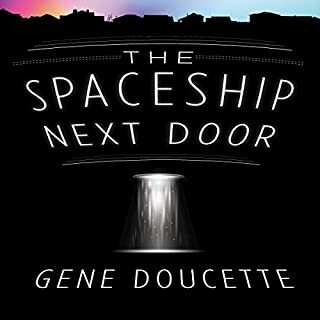 It's unfortunate that Wills is not the narrator of Doucette's The Spaceship Next Door as it is next on my list of must listen audio books, as I have enjoyed both the story and its narration immensely. 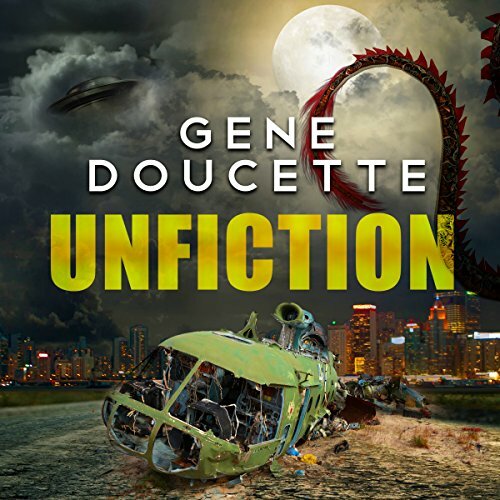 Listen close and look for the clues as Wills delivers the story of Oliver Naughton's constantly shifting reality in Gene Doucette's Unfiction. You won't be disappointed! Rod Serling (The Twilight Zone) would be proud of the masterful story telling and performance of this unique and highly entertaining book that drags the characters and the reader through myriad clichés and tropes of sci-fi, fantasy, adventure, writer geeks, intrigue, chicanery and mixed mayhem and mystery mingled with flying alien bugs, dragons, magicians, sexual innuendo....all captivatingly managed with lighthearted, self-abasing humor, and hardly ANY run-on sentences! I had no idea where the story was going. Or stories. It had me laughing out loud in places. The section where the protagonist was trying to write a romance had me cracking up. 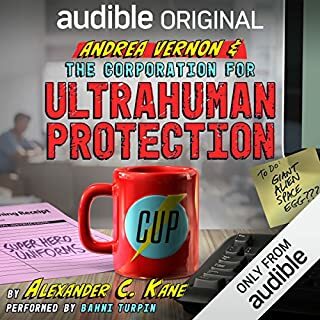 I've been appreciating Steve Carlson's narration of Gene Doucette's other books and was surprised to find a different narrator. I almost didn't get it because of that and I would have missed out on this gem. Brad Wills was perfect for this book. Keep writing books and I'll keep reading them. Or listening to them. This book sucked my will to live. I'm normally a huge fan of Gene Doucette's and I hate even writing this review, but man I so dearly wanted my money and my 9hrs and 32mins back. The book actually starts out kinda promisingly, but between a terrible reading by Brad Wills and where the story eventually takes you...DEAR SWEET BABY JESUS I could not get out of this world fast enough. And what's worse is the book ends with...well, I'm not going to ruin what someone else might enjoy by giving away an ending. But, be forewarned, this is not a good representation of what has become one of my favorite authors works. I will continue reading (listening) and hope this was somehow a bad fever dream on both mine and the authors part. It would be a shame if someone started with this book and turned away from this author for not liking this book. Try some of his other stuff. 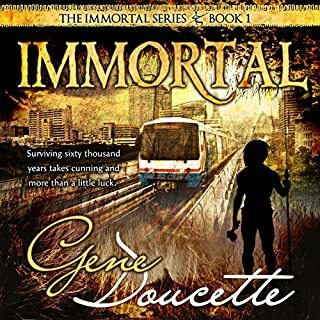 The Immortal series RULES!! I enjoy this writer but the narrator really made this book completely enjoyable! I recommend this one. If you’re a fan of all types of fiction (and i mean all types) you’re a fan of this book. Whatever you like, it’s in there, trust me. The concept of the story was very good and the narrator did a good job, but it didn't capture my interest like other books from this author. I’d like to wake up? What a strange and compelling story. I went from wanting to get to the end of a short story, to waiting to get the the end of many short stories. I found the book exasperating and hard to put down. It wasn’t what I expected, but I enjoyed the journey. I have been working my way through Gene Doucettes library and have found all of the books enjoyable. don't want to compare it to anything and give the plot away, it's everything. don't pass on it. narration excellent, writing excellent, may learn something.